The winners of the inaugural Game Dev Heroes awards have been revealed. Designed to recognise the talent and hard work of individuals within the game development sector, the Game Dev Heroes are the brainchild of industry veteran Alex Boucher, who also hosted the intimate awards ceremony at Mesmerist, Brighton. A new search for excellence in the games industry was announced today as the Game Dev Heroes initiative officially launched. The only national awards ceremony to celebrate game developers for their individual contributions to their studios, teams and projects, the Game Dev Heroes aim to shine the spotlight on the unsung heroes and hidden visionaries behind our favourite titles. Game Dev Heroes are now calling on industry professionals to nominate their studio’s heroes. Anyone in the studio could be a winner, with categories spanning development, management, marketing and community, the studio ‘Unsung Hero’, and ‘Diversity Champion’. The submission deadline is Tuesday 19th June 2018. An award will also be given to highlight a member of the industry for their Outstanding Contribution, which will be chosen by the judging panel. The award winners are set to be announced on Tuesday 10th July as part of a Game Dev Heroes networking event, held in Brighton throughout Develop Conference week. The event is free to attend but will be ticketed entry – to be notified when tickets are available head over to http://www.gamedevheroes.co and sign up to the mailing list. info@gamedevheroes.co and head over to www.gamedevheroes.co to take part. Tandem Events confirmed both PlayStation VR and HTC Hive developers will showcase its headsets at Develop:Brighton this year. The attendance of HTC and Sony add to the strong presence Virtual Reality will have at this year’s conference and expo. PlayStation VR Worlds (Sony) – a collection of five different VR experiences that have all been built from the ground up exclusively for the PS VR headset. Here They Lie (Sony) – a dark psychological horror experience that transports you to a terrifying, surreal world inhabited by strange and malevolent creatures. Sociable Soccer (Tower Studios) – the well-known football title, now brought to virtual reality. Radial-G Racing Revolved (Tammekka) – an exciting sci-fi racer using Oculus Rift. Battlezone (Rebellion) – designed for the next wave of virtual reality devices, Battlezone gives you unrivalled battlefield awareness, a monumental sense of scale and breathless combat intensity. Unseen Diplomacy (Triangular Pixels) – part of the Indie Showcase, Unseen Diplomacy casts you as an elite member of the British Espionage Tactical Initiative, defeating the plans of evil-doers around the world. With a real-life obstacle course created by Vive HTC environment, you will run and roll, sneak and solve your way through volcano lairs and moon bases. A Chair in a Room: Greenwater (Wolf & Wood Interactive) – part of the Indie Showcase, explore your surroundings as the protagonist of your own horror story as you immerse yourself in this tense VR thriller set in America’s Deep South. Windlands (Psytec Studios) – part of the Indie Showcase, a first person grappling hook exploration game. Soar through the ruins of a fallen world and discover the secrets of the ancients. During the conference on Tuesday, Oculus’ head of Developer Strategy, Anna Sweet, will deliver the Evolve keynote on how the new medium of VR will help reinvent traditional genres while creating entirely new games and experiences. Throughout Wednesday and Thursday, Tandem Events has added a brand new dedicated VR track has been added to the conference that will explore every aspect of VR across all disciplines. Sessions will be delivered from the likes of Google, Bossa Studios, nDreams, Hammerhead VR, Valve, Rebellion, Sony Interactive Entertainment and Virtual Reality developer Dave Ranyard. Develop:Brighton is Europe’s leading game developer conference taking place at the Hilton Brighton Metropole from Tuesday 12 July to Thursday 14 July. Other highlights include talks from industry visionaries Hideo Kojima and Mark Cerny on Wednesday morning and a #askrami session with Rami Ismail of Vlambeer to close the conference. Develop:Brighton’s annual search for the next big thing in independent games development is underway as submissions open for its sixth Indie Showcase at www.developconference.com. Over the past five years, more than 500 indie developers have submitted their games to the judging panel. Alumni winners includes the critically acclaimed Gunpoint; That Dragon, Cancer; Darklings which has made it into the top-100 grossing games chart on iOS; and last year’s winner, Hue by Fiddlesticks which scooped both the People’s Choice and Overall Showcase award. “Each year, the quality of submission to the Develop:Brighton Indie Showcase seems to get higher and higher and it’s fantastic to see our growing list of shortlisted alumni going on to both critical and commercial success,” commented Andy Lane, managing director of conference organisers Tandem Events. “The showcase is now in its sixth year and continues to be a fantastic opportunity for indie developers to get their games in front of publishers, the gaming press and their fellow peers,” added Adam Green, managing director of Assyria Games and chair of the judging panel. The deadline to enter is 19 May and the overall Indie Showcase and People’s Choice winners will be announced to press and delegates at the Develop:Brighton Conference on Thursday 14 July 2016. Tandem Events, organisers of Europe’s leading game developers conference Develop:Brighton, today announce Hideo Kojima, director of Kojima Productions, as keynote speaker for this year’s conference. Hideo Kojima is a world-renowned game creator and auteur known for pushing the boundaries of the video game medium. Widely considered the father of the stealth genre, he is also credited with innovative story-telling and cinematic presentation in video games at large. Famed for the hit Metal Gear Solid franchise, Kojima will be joined onstage for an hour long fire side chat with industry legend, president of Cerny Games and long-time friend, Mark Cerny. The discussion will focus around Kojima’s inspirations, process and his thoughts on the future of the game. As well as delivering this year’s keynote, Hideo Kojima will be awarded the 2016 Industry Legend Award at the Develop Industry Excellence Awards on the evening of Wednesday 13 July, the same award fellow keynoter, Mark Cerny received in 2014. Develop:Brighton takes place at the Hilton Brighton Metropole from Tuesday 12 July to Thursday 14 July. The keynote entitled Industry Legends Discuss the Future: A Conversation with Hideo Kojima, will take place on Wednesday 13 July at 10am. Hi-Rez Studios today announced that it has opened a new office in Brighton, United Kingdom to expand its reach and better serve its rapidly growing European player base. Veronique Lallier has been appointed as Vice President of European Publishing to build and lead the Brighton office. Lallier is the former Vice President of Digital Publishing at Warner Bros Interactive Entertainment International and has 15 years of experience in the gaming industry, with particular expertise in the European Online Gaming market. The office will focus primarily on community management, localization and marketing operations for Europe. Core development and operations will still be handled from Hi-Rez’s headquarters in Atlanta. Hi-Rez is currently hiring for positions in the Brighton office. 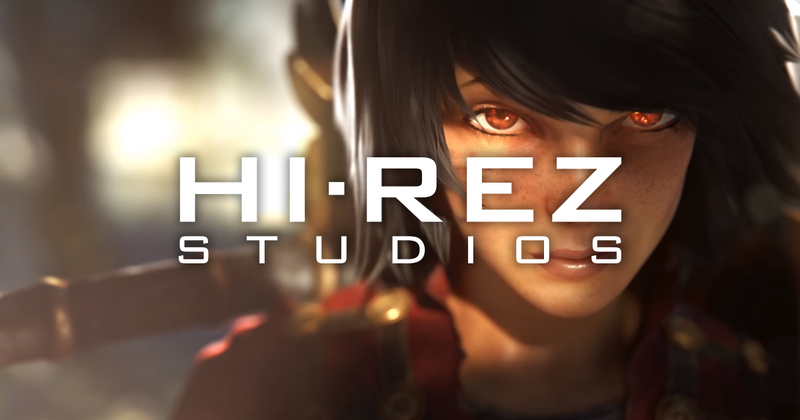 For more information about available jobs, visit http://www.hirezstudios.com/ .